Toot, toot, toot! 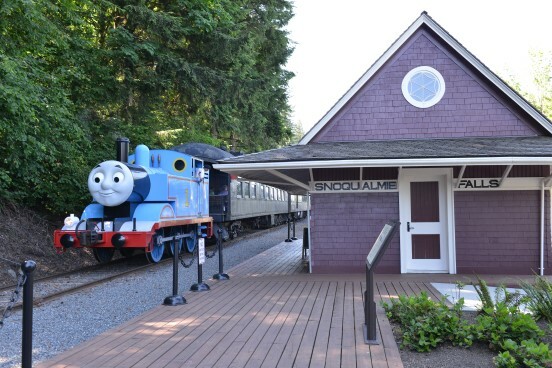 The Northwest Railway Museum is pleased to welcome Thomas the Tank Engine back to Snoqualmie, Washington this summer. 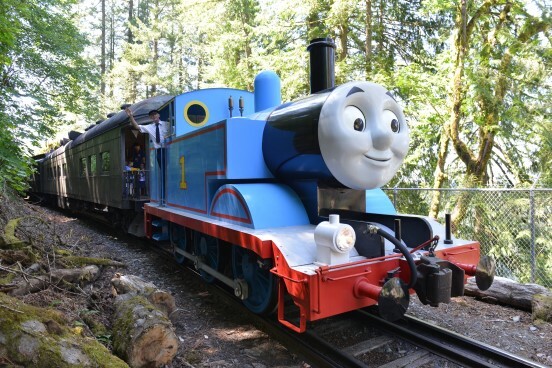 Day Out With Thomas will steam into the Snoqualmie Valley July 12 - 14 and July 19 - 21, 2019. Thomas the Tank Engine is a popular children's storybook character that first appeared in print in 1945. Today, he has a world-wide following, and we are so happy to welcome him back to the Snoqualmie Depot for his 17th annual visit. Day Out With Thomas is a fun-filled family event that includes not just a ride with Thomas the Tank Engine, but live music, train tables, story time, Thomas and Friends videos, a Thomas bouncy castle, motor car rides, and more. Your ticket includes everything except food and merchandise. This year there are two sensory-friendly trains offered for families with special needs. One train will be on Friday, July 19 and the other on Sunday, July 21. If this is an option that will best-serve your family, please email the Museum at info@TrainMuseum.org to request ticketing. Tickets for this popular event are available through TicketWeb, but may also be purchased in the Depot Bookstore in the Snoqualmie Depot, daily between 10 AM and 5 PM. Employment Opportunity at the Museum!